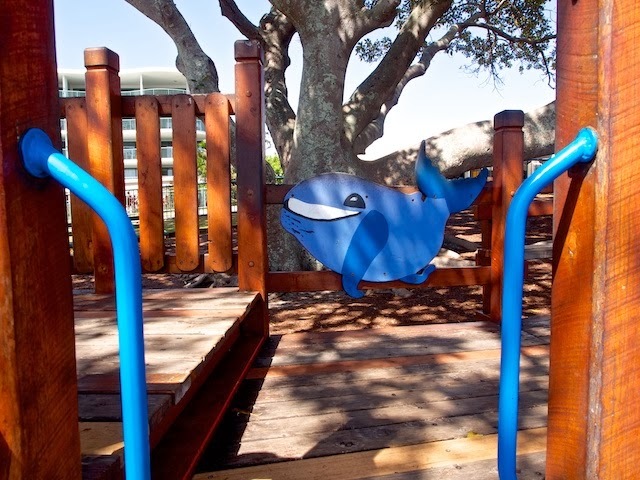 Smiling Blue whale in the dappled shade of the Moreton Bay fig at Moffat Beach. The blue of the whale radiates such charm. A great feature in a children's playground.